MVs Bute and Argyle pictured at Rothesay pier. CalMac Ferries are reminding passengers of the latest disruption information to their services. 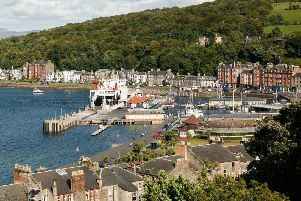 Due to an ongoing technical issue with MV Argyle, all MV Argyle sailings may be liable to disruption or cancellation at short notice on the Wemyss Bay - Rothesay route. All MV Bute sailings are unaffected and will operate to timetable.